When will be Hacking the Wild next episode air date? Is Hacking the Wild renewed or cancelled? Where to countdown Hacking the Wild air dates? 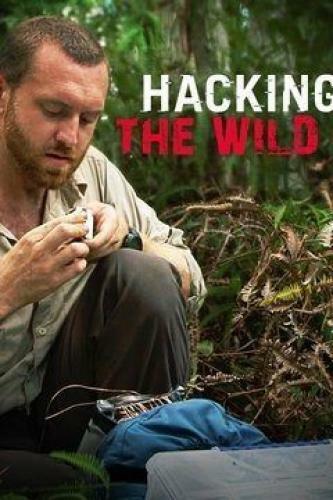 Is Hacking the Wild worth watching? In Science Channel's all-new series Hacking the Wild, "Digital Survivalist" Andy Quitmeyer goes deep into some of the most remote parts of the world armed with nothing but everyday technology and science to survive the wilderness. Each of the six, hour-long episodes follow Quitmeyer as he hacks his way back to civilization using a hybrid of time-tested outdoor survival skills and a backpack's worth of wires, laptops and tracking devices. Hacking the Wild premieres Wednesday, February 15 at 10 PM ET/PT. From a remote Pacific Island to backcountry of Alaska, Quitmeyer's adventures land him in some of the most treacherous regions on the planet, where he must adapt to each situation on the fly with his unique and innovative problem-solving skills. Using only the materials he has, including a coconut shell, an eyeglass holder and a stainless steel coffee mug - along with his knowledge of nature, he hacks repelling devices, traps, alarms and a heating system. He is also tasked with finding and cooking his food, and carefully navigating his way to stay alive until he can make his way back to civilization. Andy braves a remote forest in Alaska, a terrain that's rugged, wet, and cold; to make it back to civilization, he must use his tech to stay warm, stay dry, and stay alive. Andy is stranded alone on an island in the Pacific Ocean, and with a tropical storm looming, he must use his tech to find food and stay alive. Andy is stuck on a remote glacier in Alaska, a dangerous landscape almost completely devoid of life and resources; he will need to hack his tech gear to battle the snow and cold that makes this place so deadly. California's Death Valley is one of the toughest places to survive on the planet. Andy heads into this desolate landscape hoping his tech will keep him alive in place where few things can survive. Hacking the Wild next episode air date provides TVMaze for you. EpisoDate.com is your TV show guide to Countdown Hacking the Wild Episode Air Dates and to stay in touch with Hacking the Wild next episode Air Date and your others favorite TV Shows. Add the shows you like to a "Watchlist" and let the site take it from there.